In our beach condo, we have a dark, dated and very small galley kitchen. 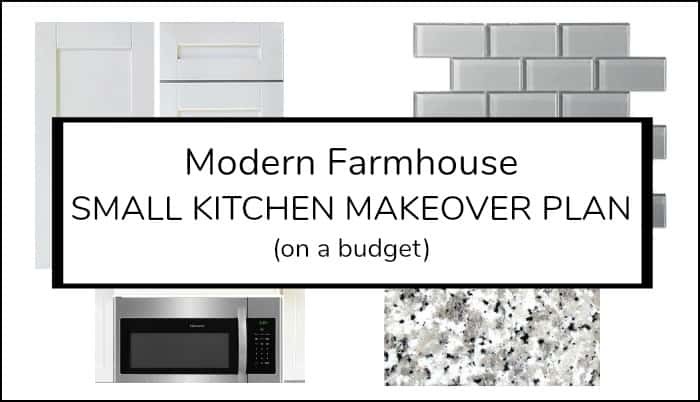 Somehow, I have to give the it a total makeover and I have to do it on a small budget. 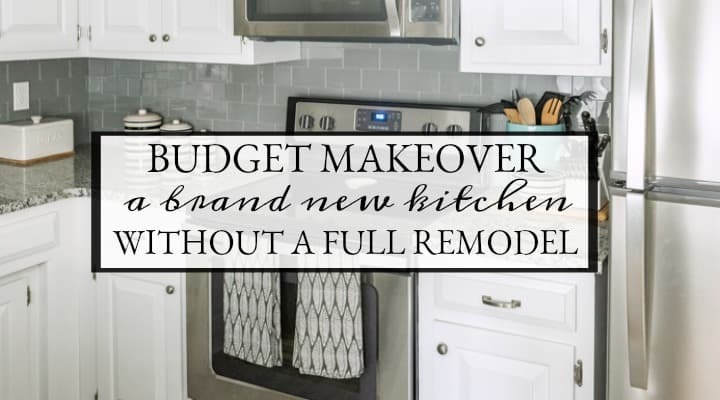 Since I'll be working with limited funds, that means not replacing the cabinets and not replacing the appliances. When we purchased our beach condo last summer, it had been used as a rental for several years. The condo was in relatively good shape, but the decor and furnishings were not to our taste at all. Even ... Read More about Help! 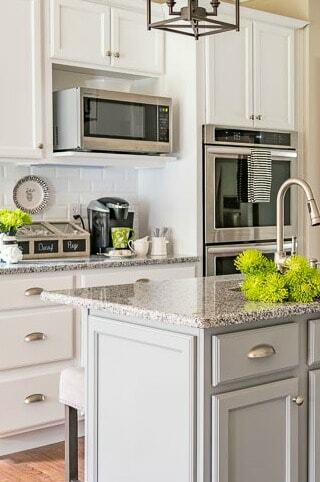 My Small Kitchen Is Ugly. Now What? 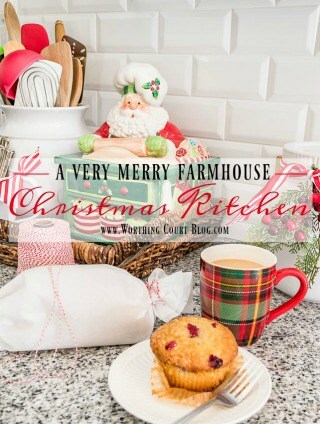 My Christmas Kitchen Decor + A Giveaway And An Exclusive Offer! 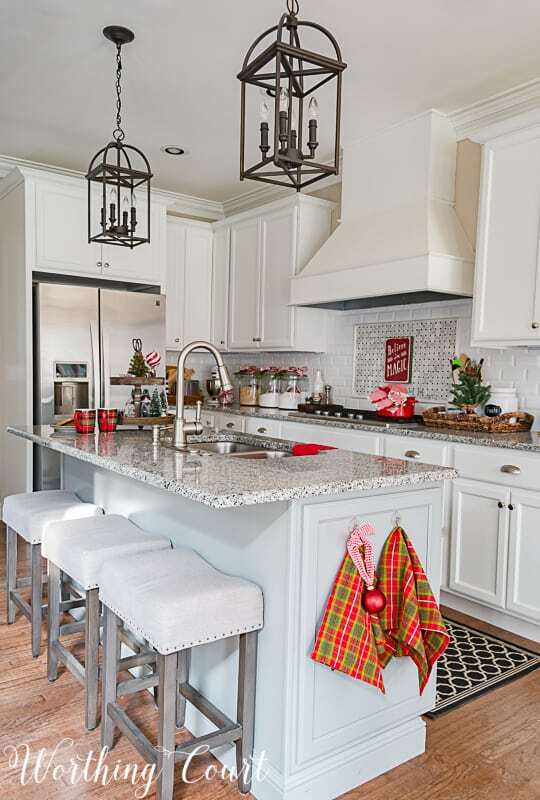 Find out just how easy it easy to create a festive Christmas kitchen with just a few simple touches. The kitchen here at Worthing Court is a real workhorse during the holidays! Everything from cooking a meal for twenty, to cooking a meal for two, to holiday baking, to holiday party prep, to holiday crafting - it all takes place in my kitchen. 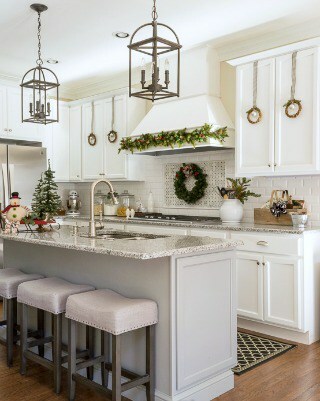 I want my kitchen to be festive and Christmas'y, but I also need room to spread out on my counters and do all that stuff! So, I've kept the decor ... Read More about My Christmas Kitchen Decor + A Giveaway And An Exclusive Offer! Shelves are a great place to display seasonal decorations! Whether you go all out or just add a few touches, these ideas are sure to inspire you. 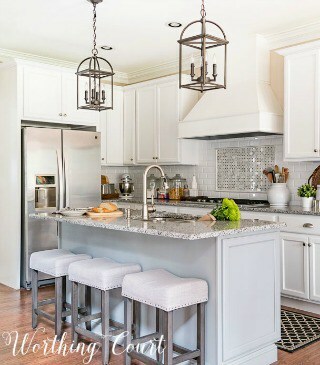 In my book, plaid is one of THE most fun patterns to decorate with! I love using it for every season, but especially when I'm decorating for fall and Christmas. I found these plaid plate chargers a couple of years ago and I've been trying to figure out a way to use them in my fall decor in more prominent way than a tablescape. 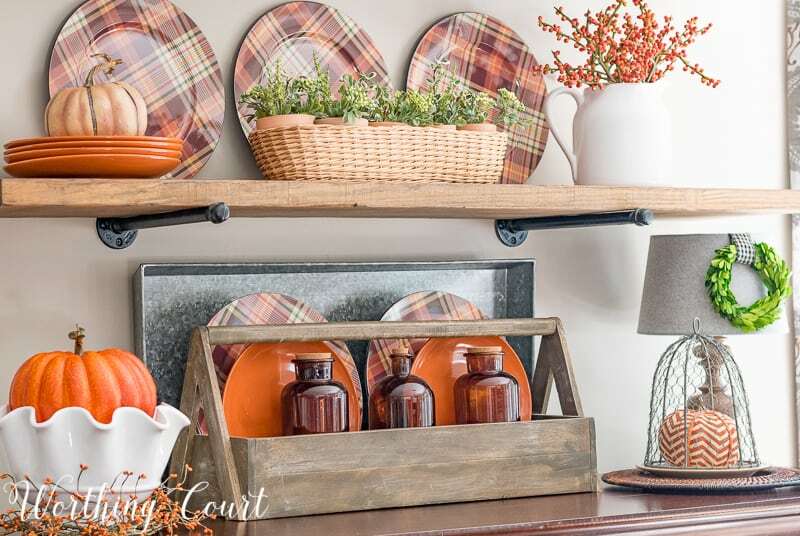 ... Read More about These Are My Most Favorite Fall Kitchen Shelves Ever!